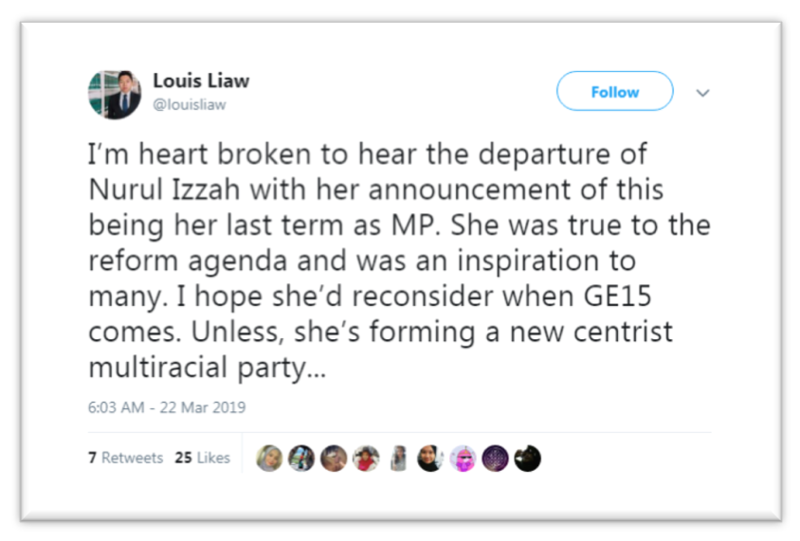 Nurul Izzah’s resignation: weakness or principles? On March 22, Permatang Pauh MP Nurul Izzah Anwar announced her resignation as a member of Public Accounts Committee (PAC). 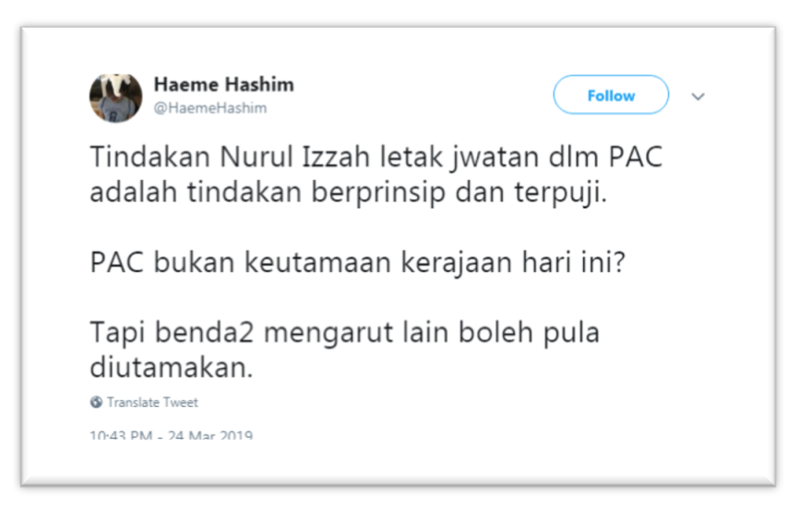 This decision was made after Prime Minister Tun Dr Mahathir Mohamad decided to retain Ronald Kiandee as PAC chairman even after the former UMNO member joined Bersatu. 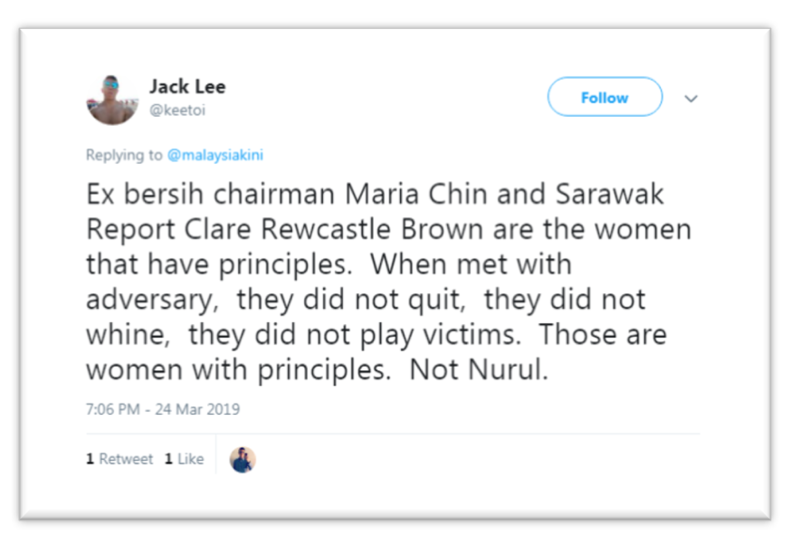 According to Nurul Izzah, the chairperson of PAC should be a member from the Opposition in order to pursue accountability of the executive power. In addition, she also confirmed that this is her last term serving as a member of Parliament. 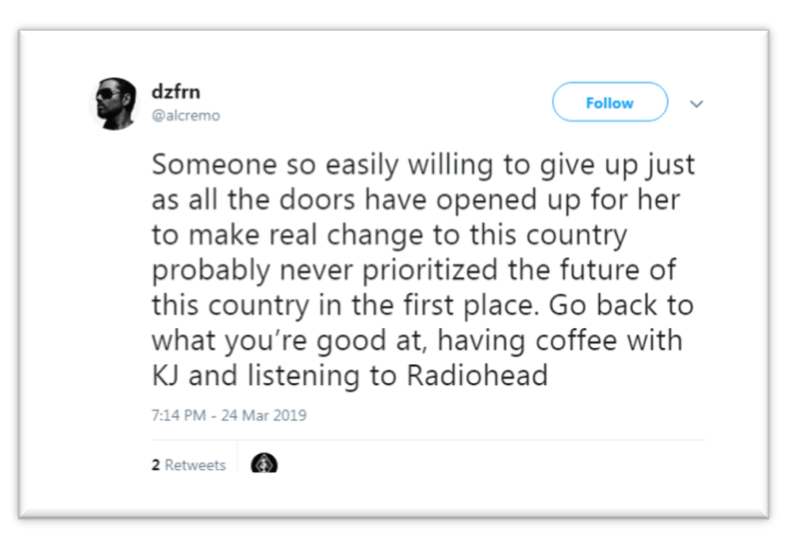 In light of her resignation, some netizens have taken to Twitter to comment on the matter, calling her action as a sign of weakness. 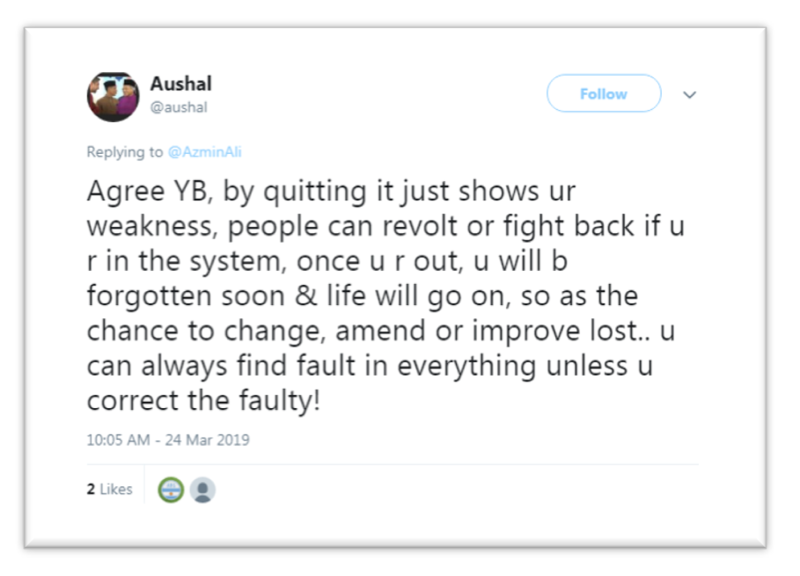 On a more positive note, some netizens are admiring Nurul Izzah’s willingness to stand up to her principles by quitting. 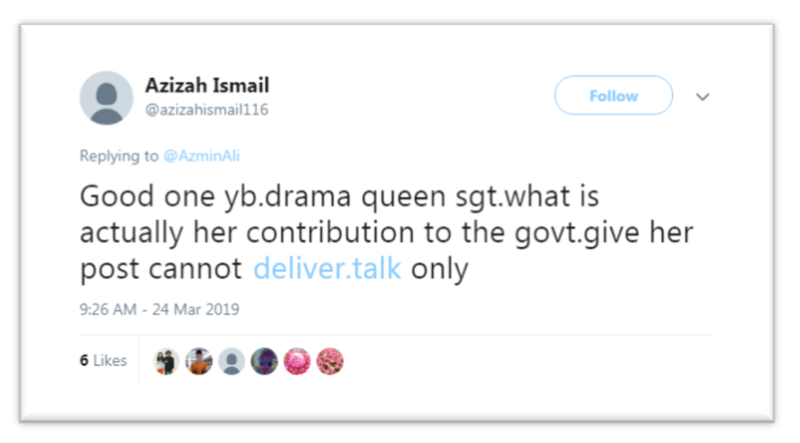 In an interview conducted by The Straits Times, Nurul Izzah shared about her “broken heart” as she claimed that Mahathir was a “former dictator who wreaked so much damage”, which later triggered a criticism from lawyer N. Surendran. Is she really standing up to her principles or just playing the victim?